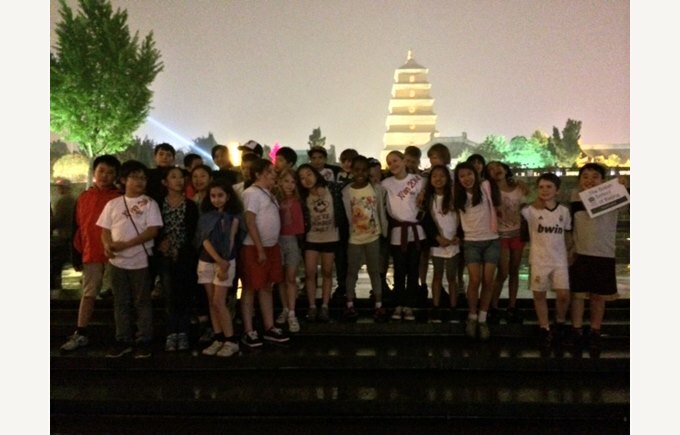 Year 5 students continue to enjoy their time exploring Xian. Read here for their latest on their adventures. On Wednesday 23rd April, the students had another great day exploring the city. They visited a factory to see how the replica terracotta soldiers are made before going to visit the real terracotta soldiers. They then spent the afternoon at the bell and drum tower before being treated to a dumpling banquet dinner! On Thursday 24th April, the students enjoyed a day of paper cutting and painting with Hu County farmers and then community service with the people of the Huiling Centre. Then in the evening they watched the spectacular fountain show with lights. All the children thought it was fantastic! Today the students and teachers are busy packing and getting ready to leave the hotel. Then they will go for their last local lunch before heading to the airport. Their flight is due to land this evening and all are looking forward to sharing their exciting experiences with friends and family on arrival back at school. Check back for a full report from Year 5 next week.